Gift of Hope Organ & Tissue Donor Network is a not-for-profit organ procurement organization that coordinates organ and tissue donation in Illinois and northwest Indiana, and is one of 58 OPOs that make up the nation’s donation system. They work with 180 hospitals and serve 12 million people in their donation service area. It should go without saying, that the nature of their business requires that their IT systems are up and running 24 hours a day 7 days a week 365 days a year. In addition, the 300 employees require immediate assistance if a problem should occur. Re-architect the servers and storage to eliminate inefficient isolated islands of storage. Ensure the storage solution is flexible to accommodate changing needs on any server without over investment. In order to accomplish this goal Netsphere architected an environment with a central Storage Area Network (SAN) and several Windows Server 2012 R2 clusters that would provide for increased density on the virtual hosts. This cluster architecture would provide maximum redundancy while the SAN eliminated the islands of storage and eliminated storage waste. By utilizing and leveraging the latest Microsoft Virtualization technologies, they would see an increase in the availability of the servers, and allow for increased density on the servers, which would result in significantly lower hardware and software costs, and a greater ROI on their investment. 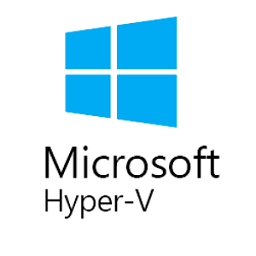 ​Netsphere utilized Microsoft Windows 2012 V2 Hyper V Server, which is a native hyper-visor and allows for the creation of "virtual machines". We were able to split the servers into 2 clusters, for production and development. Netsphere deployed an HP C7000 Blade enclosure to accomplish this, and also integrated a NetApp SAN, for additional Storage.